I am sad for us, but I am happy for Billy Graham. The Apostle Paul told us that to live is Christ and to die is to gain more of Him (Phil. 1:21). I am confident the first words Billy Graham heard when he entered into glory were "well done, thy good and faithful servant." I was visiting with his son Franklin a few months ago, and I asked him how his dad was doing. He answered that his father's mind was still sound, but that he was suffering the infirmities of old age and that he was ready and waiting on God's timing for God to take him home to heaven. He also shared that his father was looking forward to being reunited with his beloved wife, Ruth. Now they are together for eternity, and we should all rejoice. 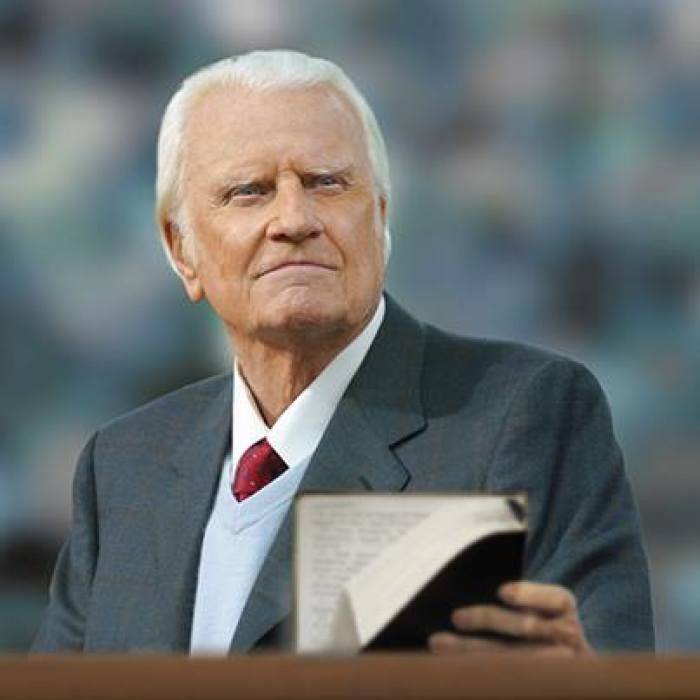 We should also praise our Heavenly Father for sending us Billy Graham, the greatest evangelist in the Christian church since the Apostle Paul. Among his many, many gifts, perhaps the most impressive was his humility. He was a man who received incredible adulation and love during his life, and yet he always said the first question he was going to ask when he got to Heaven was "why me?" If there were an Evangelical Mount Rushmore, Billy Graham's visage would be the first one carved into the stone of that mountain. We will never know this side of heaven just how many hundreds of thousands of people have had their lives impacted for all eternity by the faithful witness and preaching of Billy Graham. I grew up in a home with a Christian father because of Billy Graham. Graham came to Houston's Rice Stadium for a crusade in the early 1950s. Some of the men from the local Baptist church in our neighborhood invited my father to go with them to hear Billy Graham. It was there that my father accepted Jesus as his personal Lord and Savior and became a faithful deacon and Christian father for the rest of his life. Similar stories have been repeated literally hundreds of thousands of times across the globe. I am eternally grateful that God sent Billy Graham to us and that he answered God's call and became the greatest messenger for the Gospel of the Lord Jesus Christ since the Apostles. 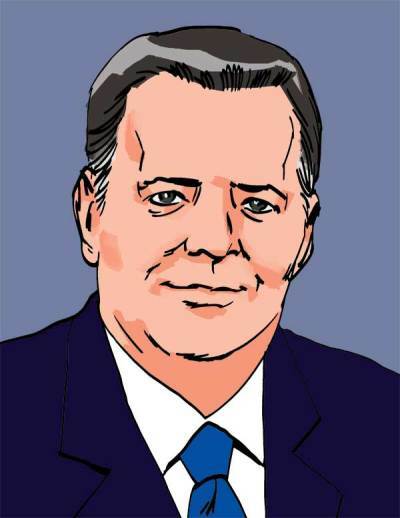 People often ask, "Who is going to be the next Billy Graham?" This question assumes that there is a Billy Graham in every generation or that we can expect another Billy Graham as if the gift of such men is cyclical. There was never anyone like him before his ministry, and we cannot assume that there will be another. We may not see his like again. We are of all people most blessed that he ministered and walked among us in our lifetimes. We can only hope and pray that God will gift us with another such powerful messenger of the Gospel. On a more personal note, I had the privilege of meeting and visiting with Graham several times. The first time was when we met backstage at the 1972 Southern Baptist Convention in Philadelphia. I was a 25-year-old newly minted seminary graduate preparing to enroll at Oxford University to pursue my Ph.D. He, of course, was the world-famous Billy Graham. He could not have been more kind or encouraging to a wet-behind-the-ears young preacher like me. He very graciously agreed to autograph my Bible and seemed inordinately pleased and touched that I asked. The last time that I ran into Graham was in Washington, D.C., about a decade ago. I was coming into the hotel as he was getting ready to leave. I greeted him, and said, "Happy Birthday, Dr. Graham." His face lit up, and he said, "How did you know it was my birthday?" I said, "Well, it is November 7, the day after mine, and I always wished I had been born on your birthday and not mine. He beamed and said, "They're having a birthday party for me." And he seemed excited about going. I can't imagine that anyone who ever had an encounter with Graham came away less than greatly impressed with his exuberant and generous humanity. I certainly felt enormously privileged by every encounter I had with him.